Home About Membership JCGS Store Merchandise Resources Education Contact Us! All meetings & programs are free and open to the public unless noted otherwise. We welcome guest speakers to present at our monthly meetings. If you have extensive experience on a particular genealogical subject and wish to share with our members, please contact: vpresident@jcgsmo.org. 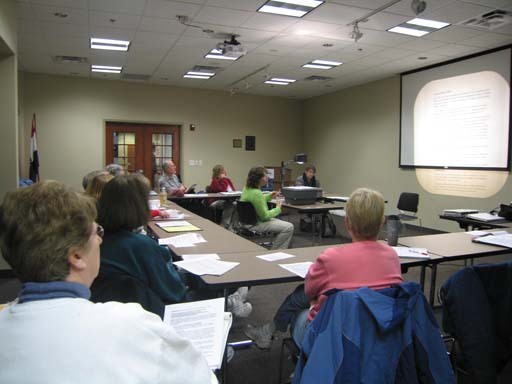 Society meetings are held at the Northwest Branch, Jefferson County Library unless stated otherwise. Society Meeting at 9:30 a.m.
December 7, 2019 at 11:30 a.m.
You may order off the menu. Come join us for our Annual Christmas Luncheon! © 1995-2016, Jefferson County Genealogical Society, All rights reserved.